This project was undertaken at a private residential property in Benfleet, Essex. 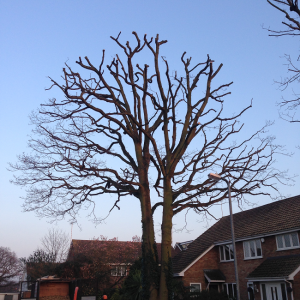 The Oak had a TPO (Tree Preservation Order) attached to it. 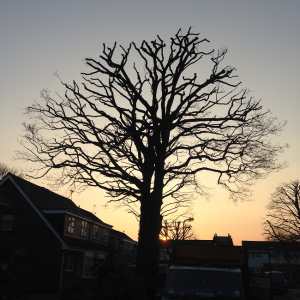 Carringtons had approval to undertake a crown reduction for the Oak. 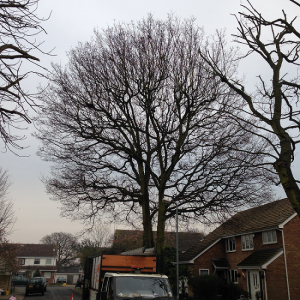 The reason for the works was to clear the crown of any congestion from dead, damaged or dying limbs as well as to reduce the overall size of the canopy. 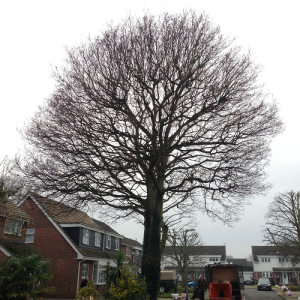 This practice permits aeration and light throughout the canopy as well maintaining the trees health and structural intergrity.